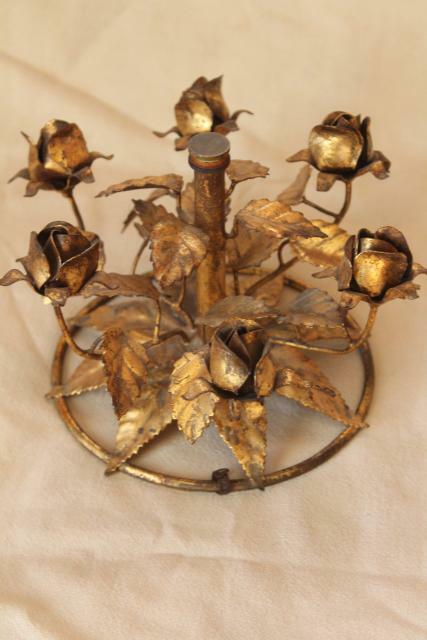 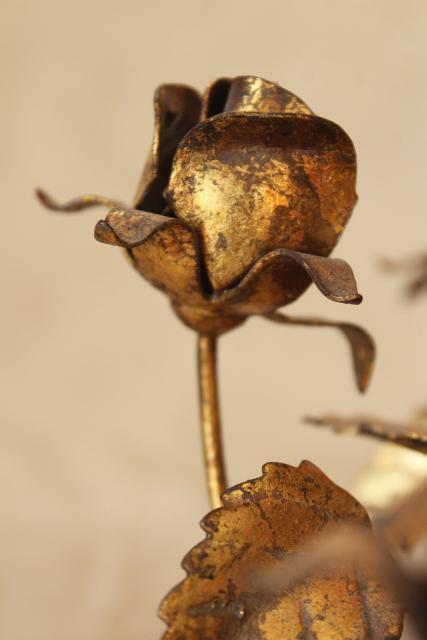 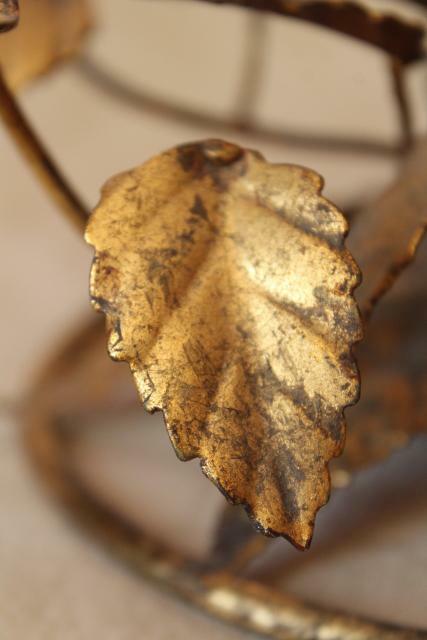 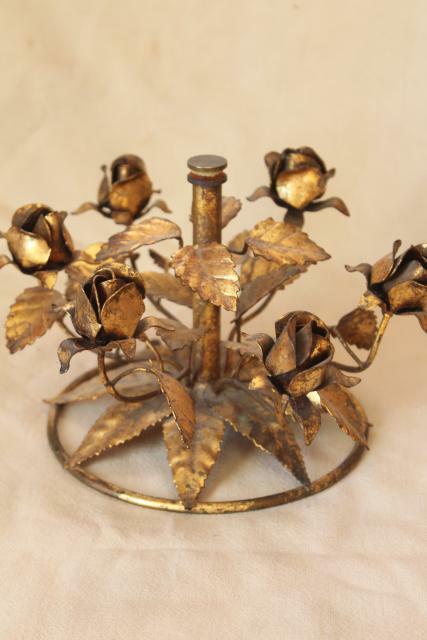 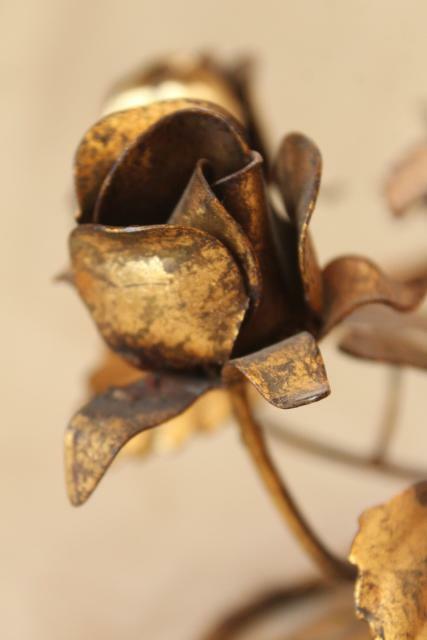 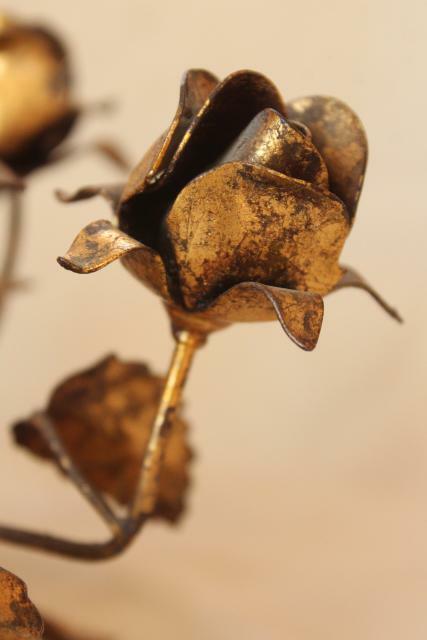 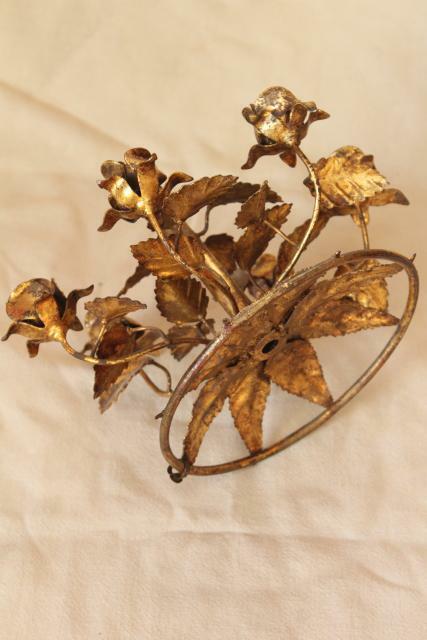 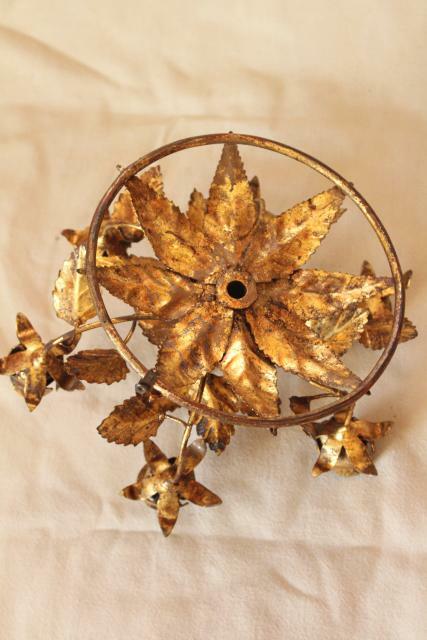 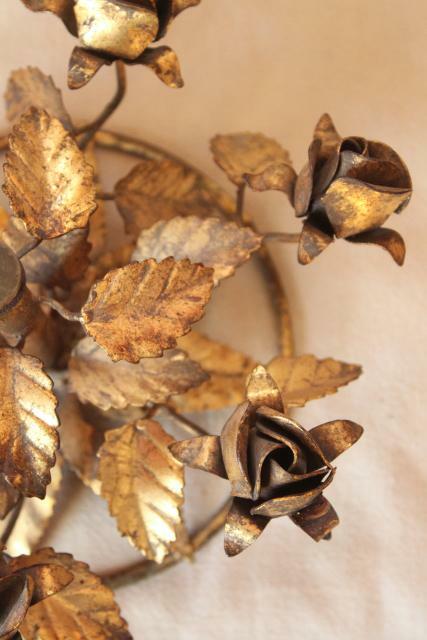 60s vintage ornate metal roses with worn antique gold finish. 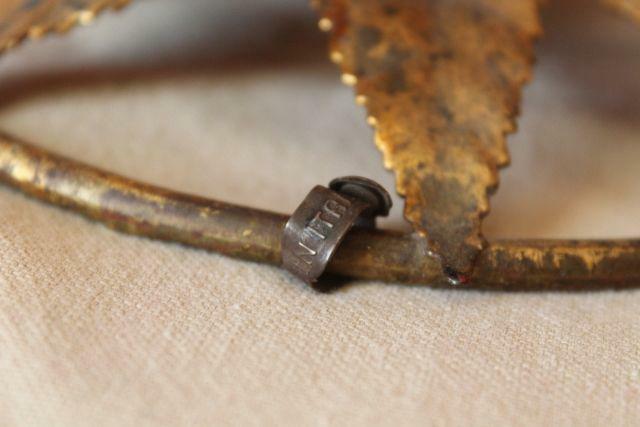 This piece has the old metal tag marked Made in Italy. 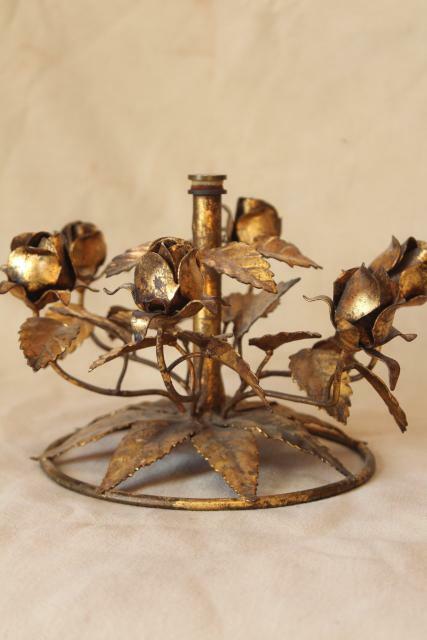 We believe it's a lamp base, or a base for a frame, or maybe a vanity mirror, or would work well to hold a glass or china plate as a cake stand. 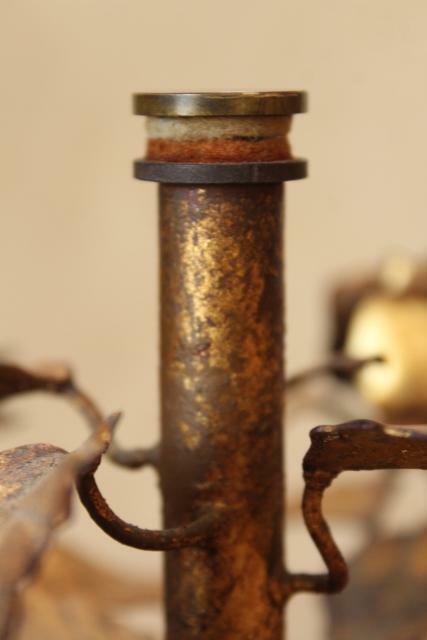 It's about 6" tall, with a threaded rod and screw at the end of the stem. 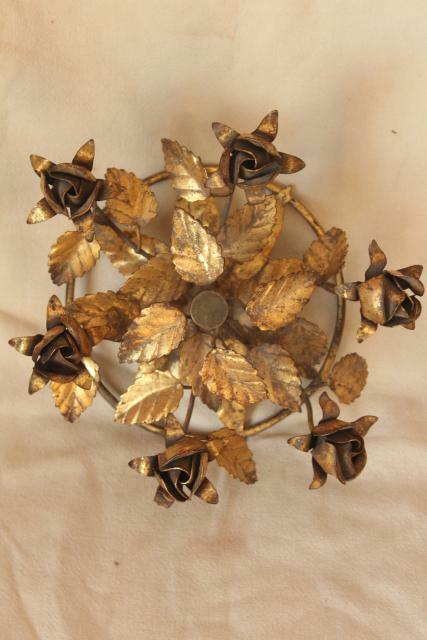 It's about 6 1/2" across the base ring, 8 1/2" across the flowers overall.